"Sectarian abuse is discriminatory and should be dealt with accordingly." According to The Times, the English FA will launch its first ever investigation into sectarian abuse following the barrage of vitriolic abuse, suspect packages and death threats directed at James McClean and his family of late. Stoke City manager Gary Rowett elaborated on the abuse the Republic of Ireland international has faced due to his principled decision not to wear a poppy. Rowett said: "There is no justification for the abuse he and his family have received for his beliefs and he should be supported in the same way as any other player who receives abuse based on his or her race." After the FA announced it was going to investigate McClean's initial Instagram post, which referred to abusive supporters as "cavemen" and "c**ts," McClean responded by blasting the FA's investigation. The Derry man claimed that the governing body of English football was actively turning a blind eye to the abuse that he's enduring because he's an Irish catholic. "They turn a blind eye and not a single word or condemnation of any sort," he said. "If it was a person's skin colour, or if it was anti-muslim, someone's gender, there would've (been) an uproar and it would be taken in a completely different way and dealt with in a different manner, but like Neil Lennon's case in Scotland because we are Irish Catholics, they turn a blind eye and nothing is ever said and done." Show Racism the Red Card Ireland, Show Racism the Red Card UK and the Professional Footballers Association of Ireland (PFAI) have since released a statement which urged the FA to take "a more robust approach to abuse faced by players like James McClean and managers such as Neil Lennon". It appears that their request has been granted. Kick It Out, an organisation that liaises with the FA on discrimination and abuse in English football grounds, has released the following statement, as per The Times. 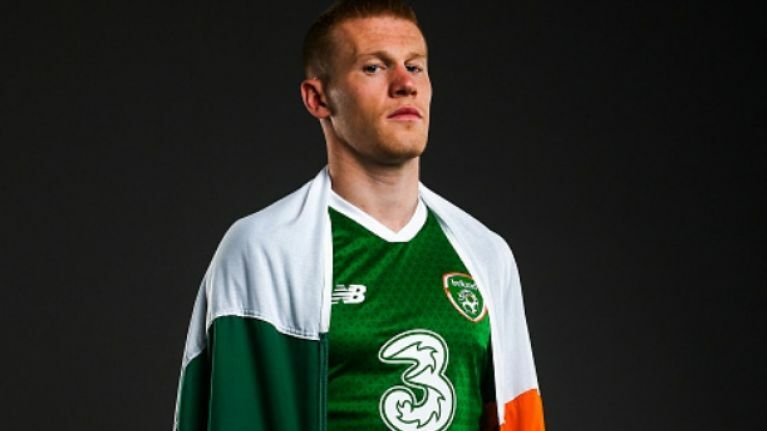 “We have received reports of discrimination towards James McClean and have informed the FA, who have confirmed they are investigating the matter together with Stoke City. Sectarian abuse is discriminatory and should be dealt with accordingly." The same report states that Kick It Out has not previously received reports of sectarian abuse taking place within English football. As for McClean's immediate future, he's expected to be involved in the Stoke City squad for their match against Nottingham Forest this weekend.